The surprisingly competent Philadelphia Phillies took this afternoon’s rumble with the defending champs to the 13th inning thanks to a rather weird double play. While this one comes off as a garden variety double play, the middleman here is Ty Kelly, a Phillies right fielder who was hanging out in the center of a five-man infield. 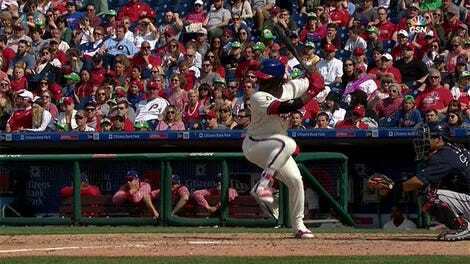 Unfortunately, the Phillies’ defensive magic did not last long and they lost in the 13th on a throwing error.